The trailer kicks things off by reintroducing us to some Gen I classics. 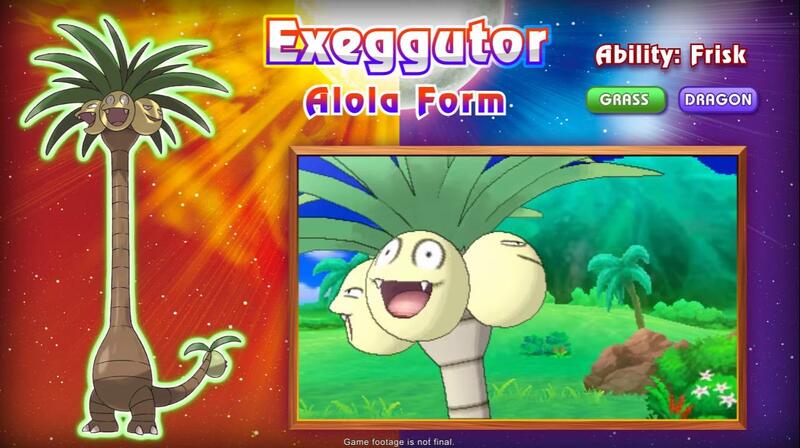 Exeggutor, Vulpix, Ninetales, Sandshrew, and Sandslash are all making a return but perhaps not how you remember them. It would seem that all these Pokémon have special forms exclusive to the Alola region that not only changes their appearance, but also brings new typings and abilities. Of course no Pokémon trailer would be complete without some new pokés to show off. 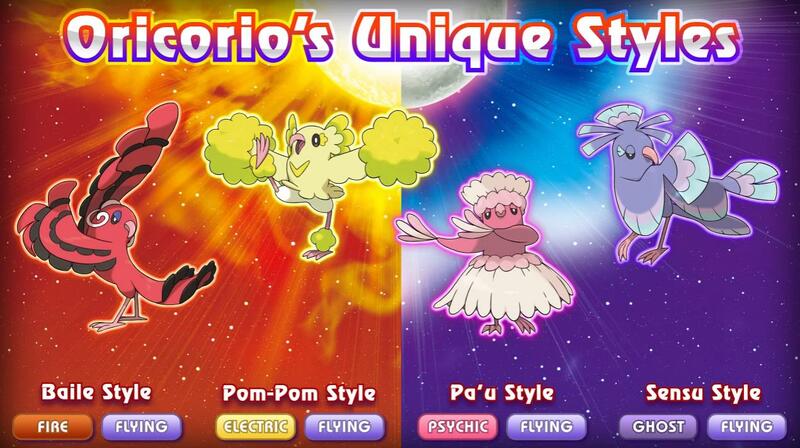 We get five new ones here: Oricorio is a new bird Pokémon with a different appearance and type depending on what island it’s caught on, and Minior seems to be based on a meteor with an alternate from that revolves around it’s ability. There are a few more new ones as well. Check out the gallery below for more info. In addition to the new information on the actual Pokémon, the trailer also highlights other features. Riding Pokémon seems to make a return, but may play a bigger role this time around. 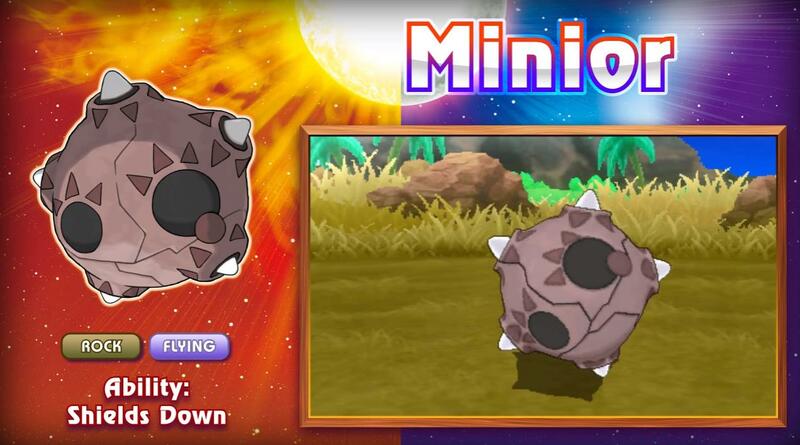 Swimming and flying Pokémon are ridden in addition to land based Pokémon, and they can be seen smashing rocks and removing other such obstacles in the trailer, so maybe this will replace HM’s. Something fans have been wanting since probably the first games. Something brand new is the inclusion of “trails” on each of Alola’s islands. Each trial is associated with a different mentor and a “Kahuna”. While it’s unclear exactly what kind of role the mentors will fill, Kahunas seem to be very similar to gym leaders in that they’re basically the boss you challenge at the end of each trial and they specialize in a certain type. Rather these trails are replacing gyms all together, or exist in addition to gyms is unknown, but these trails shake up the formula either way. Finally, the trailer also unveils the mystery sounding the the unusual crystals shown on the main characters person in previous trailers and promotional material. 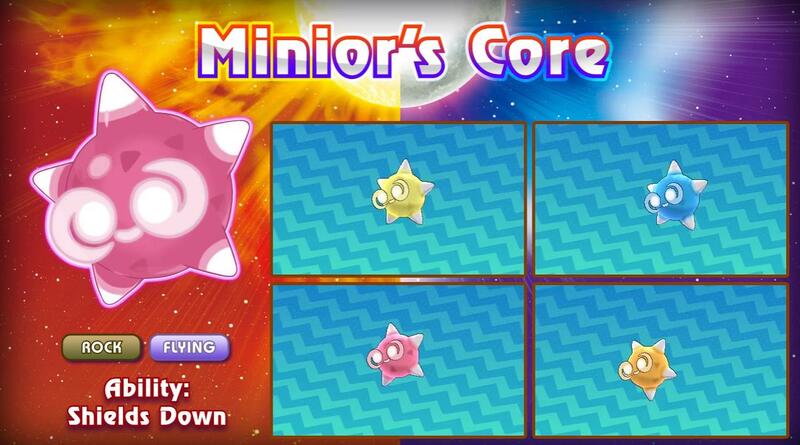 These are Z-Crystals, and they’re used to activate Z-Moves which are mechanically similar to Mega Evolutions introduced in the last generation. 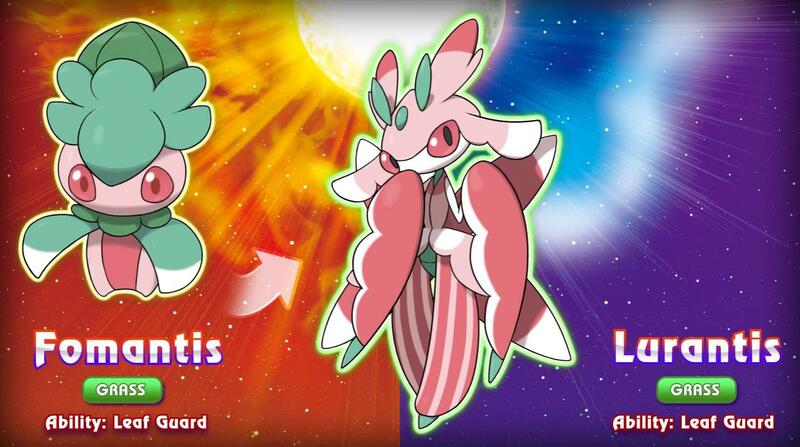 However, unlike Mega Evolutions, Z-Moves are a powerful move rather than a drastic change in form. A Z-Move can only be used once per battle and requires the Pokémon to hold a Z-Crystal that matches that of it’s trainer. 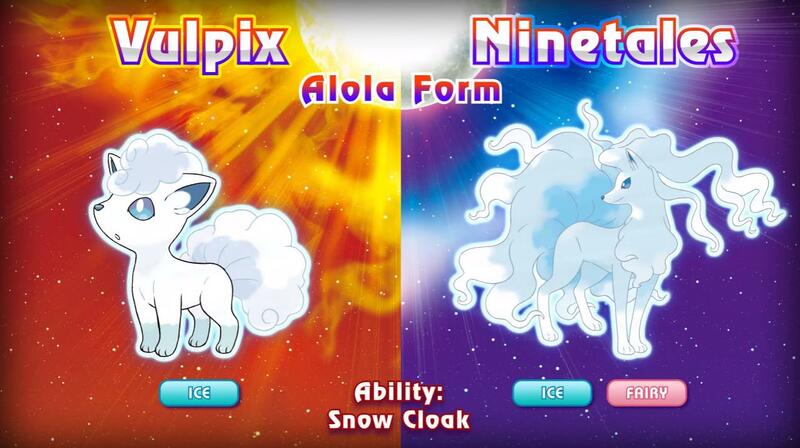 Z-MOVES AND ALOLAN POKÉMON VARIANTS ANNOUNCED FOR POKÉMON SUNAND POKÉMON MOON! 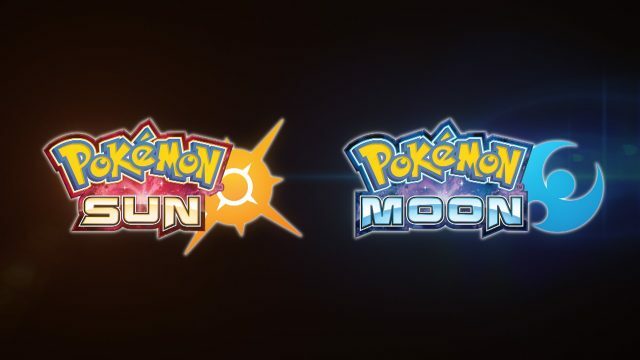 Bellevue, Washington—August 1, 2016—The Pokémon Company International and Nintendo revealed powerful Z-Moves in addition to new characters and Pokémon that can be found in the highly anticipated Pokémon Sun and Pokémon Moon video games, available exclusively on the Nintendo 3DS family of systems. These fascinating Alola region characters and Pokémon will appear in the latest generation of Pokémon video games that will launch in North America on November 18. 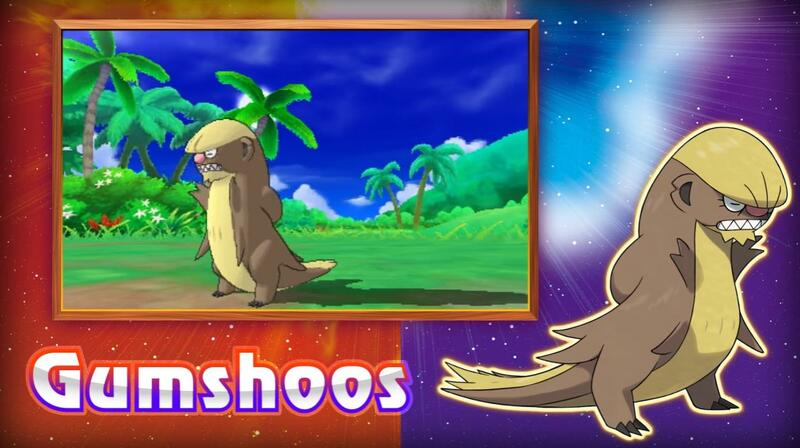 A new trailer that showcases these new Z-Moves and many amazing Pokémon can be found here: https://youtu.be/3AZHowhxM0U. One aspect of the unique Alola culture is the island challenge, an adventurous rite that involves traveling through each of the four islands. This event helps young people grow into better Pokémon Trainers. As the main character of Pokémon Sun and Pokémon Moon, each player is destined to attempt this island challenge. To complete the island challenge, young trial-goers must overcome the trials on each of the four islands. These trials are not limited to battling with Pokémon. They take a variety of forms including finding items or completing tests of knowledge. In the Alola region, certain Pokémon help people reach places that are not accessible using human strength alone. This practice, known as Poké Ride, is typical of the culture of the Alola region, where humans and Pokémon are closely bound together. These Pokémon do not join the player’s team, but they can be called upon anytime for help. 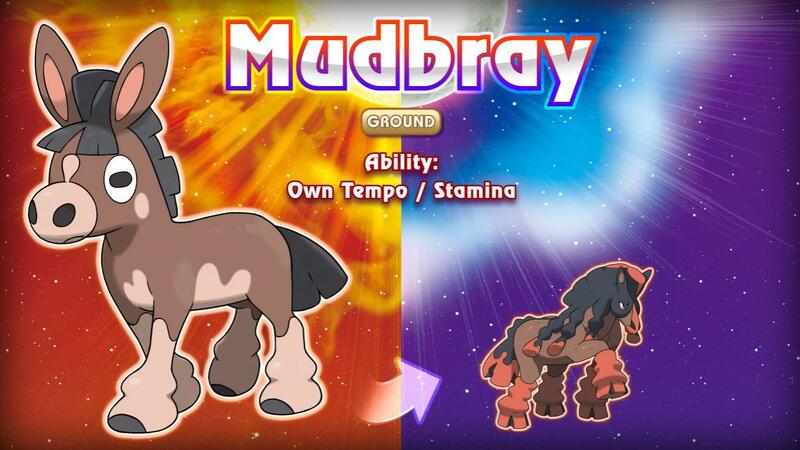 Mudbray could once be found all over the world but is now a protected species. It’s said that the Alola region is the only place in the world where Mudbray can still be found in the wild. 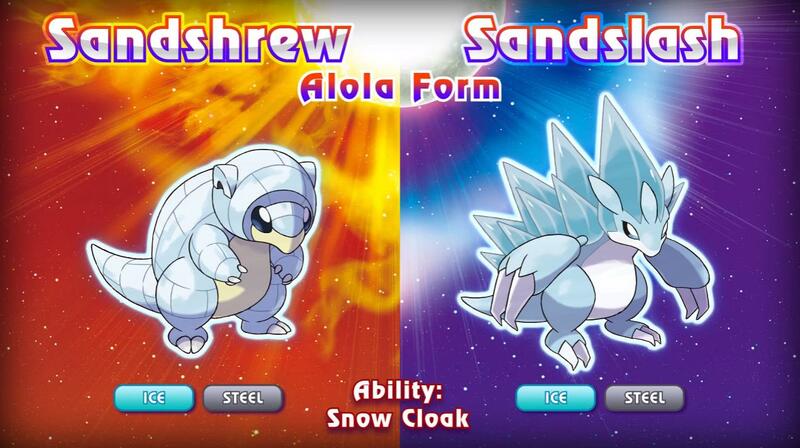 Sandshrew have historically lived in desert areas, but the frequent eruptions of nearby volcanoes drove them to abandon the desert and migrate to snowy mountains where they took on this form.